Home / News & Blog / Join our award winning team? Join our award winning team? One section of our Pledge of Excellence says that we pursue excellence in all that we do. We wanted to share a tangible example of how our team at Fort Sanders Regional Medical Center is doing just that! Read below about an award they received and click here to check out the opportunities we have open at Fort Sanders Regional Medical Center that might be a great fit for you! Fort Sanders Regional Medical Center has received the American Heart Association/American Stroke Association’s Get With The Guidelines®-Stroke Gold Plus Quality Achievement. This designation means that Fort Sanders Regional continues to be part of an elite group of providers focused on complex and highly specialized stroke care. In order to receive this designation, the hospital must meet specific quality achievement measures for the diagnosis and treatment of stroke patients at a set level for a designated period. These measures include evaluation of the proper use of medications and other stroke treatments aligned with the most up-to-date, evidence-based guidelines with the goal of speeding recovery and reducing death and disability for stroke patients. Before discharge, patients should also receive education on managing their health and schedule a follow-up visit. As of April 2018, 100 percent of stroke patients and their families treated at Fort Sanders Regional receive stroke education, above the average of other Tennessee hospitals. In addition, the hospital received the association’s Target: Stroke Honor Roll Elite Plus award. To qualify for this recognition, hospitals must meet quality measures developed to reduce the time between the patient’s arrival at the hospital and treatment with the clot-buster tissue plasminogen activator, or tPA, used to treat ischemic stroke. 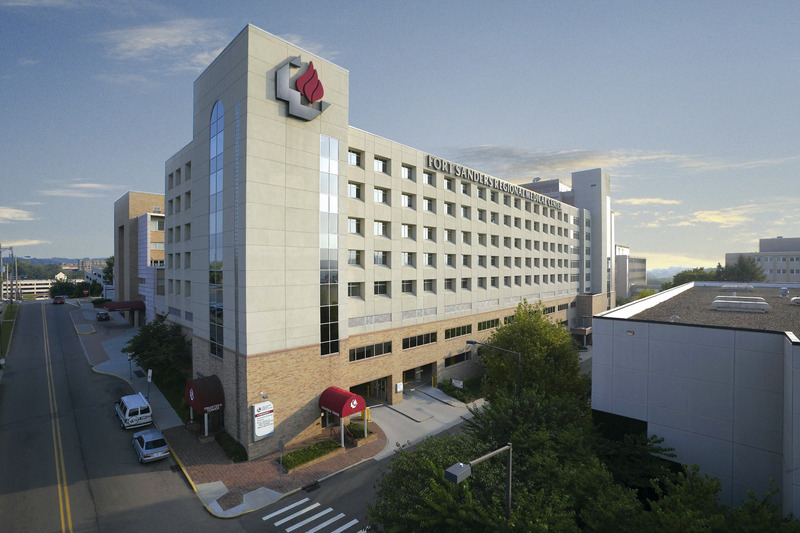 Fort Sanders Regional Medical Center is part of the region’s only stroke hospital network for delivering advanced diagnostics and treatment to halt the devastating effects of stroke. Fort Sanders Regional is a Stroke Center of Excellence, and the only facility in the region to hold both a Comprehensive Stroke Center certification from The Joint Commission and two separate stroke accreditations from CARF (the Commission on the Accreditation of Rehabilitation Facilities). Stroke is the fifth-leading cause of death and a leading cause of adult disability in the United States, according to the American Heart Association/American Stroke Association. On average, someone suffers a stroke every 40 seconds. We are so proud of how our team pursues excellence in all they do. Want to be a part of this team? Click here to check out the opportunities we have open at Fort Sanders Regional Medical Center!